Konarka Technologies, a maker of organic solar thin films, said Friday it’s going bankrupt, an announcement that may not be so surprising to many who have watched and waited for the venture-backed company to try to build a viable business. The Massachusetts company filed for Chapter 7 and plans to liquidate its assets to pay back creditors. 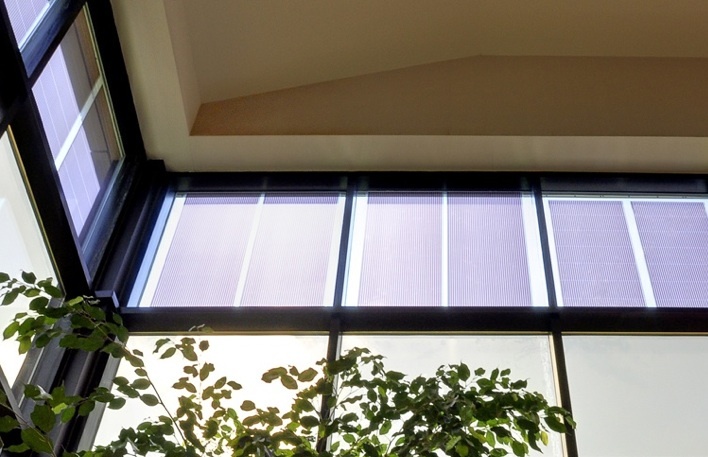 The company developed organic thin films that it wanted to see installed as part of building façades, and despite raising close to $200 million by our last count, it struggled to find success. The fact that Konarka, founded in 2001, has lasted this long has been puzzling to some. The low efficiency of organic thin films – the company was selling products that could convert only a few percent of the sunlight that falls on them into electricity as of last year – and the difficulties of finding buyers in the building design and construction market have been persistent challenges for Konarka over the years. Konarka’s technology used a photo-reactive material printed onto plastic, and they are quite different from the silicon or cadmium-telluride semiconductors used in conventional solar cells today. Instead of encasing the films in glass like other solar panels on the market, Konarka makes its films in protective polymer layers so that they are flexible. “Konarka has been unable to obtain additional financing, and given its current financial condition, it is unable to continue operations. This is a tragedy for Konarka’s shareholders and employees and for the development of alternative energy in the United States,” said Howard Berke, chairman and CEO of Konarka, in a statement. Konarka was able to sell its organic thin films for lining umbrellas and shoulder bags, but it wasn’t clear whether these sales and shipments amounted to any significant volumes. Konarka marketed its thin films to architects and builders in the building-integrated photovoltaic (BIPV) market, which has barely emerged and is a tough market to crack. Architects like the idea of adding eco-friendly features, but they tend to balk at the added expense and worry about the logistics of embedding, operating and replacing electrical equipment that isn’t likely to last as long as the buildings. The lackluster housing market in the past few years also hasn’t helped. In 2010, the company raised $20 million from Konica Minolta, which wanted build a manufacturing joint venture in Japan. Konarka had lined up many other investors, too, including Draper Fisher Jurvetson, Good Energies, 3i, Mackenzie Financial Corp., Pegasus Capital, Asenqua Ventures, New Enterprise Associates , Vanguard Ventures, Chevron Ventures, Massachusetts Green Energy Fund, NGEN Partners, Angeleno Group and Total, the French oil and gas giant who invested $45 million in 2008. Yeah, can imagine. I am sure they wouldn’t have got any investors. It’s not really about the efficiency perse, It’s about the number of kilowatt hours produced per dollar. so a low efficiency can be offset by a low cost of production. organic photovoltaics can be made much more cheaply than silicon or other inorganic-based PVs. The problem with Konarka wasn’t that they were trying to market organic PVs, several other companies operate just fine in this market (Plextronics, Polyera, Solamer, etc.). I heard Konarka had a poor buisness model and a management group that did a lot more talking than actually doing. Efficiency definitely has something to do with it, along with price of course (obviously buyers aren’t inclined to spend big money on inefficient solar cells). I’m curious how do you know that Plextronics is doing “just fine” with its solar product considering it’s a private company that doesn’t disclose its finances? Konarka also seemed just fine for a while. Incredible they got as far as they did. Organic PV had the worst efficiency of all in a large field of many solar competitors. This was clear from the start, so I’m amazed anyone gave them so much money. I think organic PV wasn’t meant to compete with the conventional silicon/thin films, and perhaps its investors thought the tech had advantages to offset the low efficiency issue, like embedding them in building materials. Sometimes efficiency isn’t the most important metrics for finding a good business case for a solar tech. But that BIPV market is just not growing as fast as anticipated.